Phoenix physician Dr Zuhdi Jasser talks about his book A Battle for the Soul of Islam, and explains the current struggle within Muslim communities with differing ideas. Jasser says there’s currently a battle of ideals between reformers and revivalists, the same sort of fight that led to the U. The President and CEO of the Arizona Chamber of Commerce and Industry says he’s “absolutely thrilled” that Governor Jan Brewer has extended the regulatory review and moratorium for state agencies. Former state lawmaker Chris Herstam and John MacDonald, owner of local lobbying and consulting firm Policy AZ, explain the reactions of politicians to the Supreme Court's ruling on SB 1070. Glenn Hamer, president and CEO of the Arizona Chamber of Commerce, talks about the perspective of the business community. Phoenix Mayor Greg Stanton talks about the image overhaul Arizona needs in order to attract new businesses in the wake of the SB 1070 controversy. Stanton said he doesn’t think SB 1070 is good legislation, but Phoenix will follow the law as it should and is obligated to. College football has adopted a four-team playoff to determine its national champion. The new system will replace the Bowl Championship Series in the 2014 season. Dennis Lambert was joined by Fiesta Bowl Executive Director Robert Shelton to discuss the new playoff and its impact on the Valley. Arizona Secretary of State Ken Bennett has disqualified an initiative from November’s ballot, because of a problem with petition language. 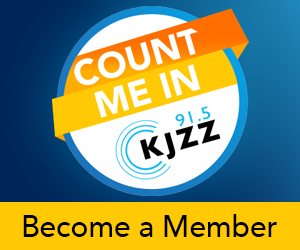 From Phoenix, KJZZ’s Mark Brodie has more. MARK BRODIE: On Monday, supporters of the Quality Education and Jobs campaign turned in more than 290,000 signatures. The American Civil Liberties Union of Arizona has prepared a campaign to educate the Arizona immigrant community about its rights under the remaining provisions of SB 1070. KJZZ’s Nadine Arroyo Rodriguez reports. The family of a Utah doctor can go forward with parts of a lawsuit claiming federal agents pushed the man to suicide. Dr. James Redd was indicted in 2009 after a sweeping investigation into the looting of Native American artifacts. Did the Supreme Court get SB 1070 right? Monday, the United States Supreme Court ruled on the injunction against Arizona SB 1070. The court held that three portions of the law cannot go into effect, but that one -- requiring police officers to check the immigration status of someone they've detained, if there's "reasonable suspicion" the person may be here illegally -- can. Republican candidates in Arizona's new Congressional District 9 discussed a number of important issues at a KJZZ-hosted forum Monday night, including illegal immigration, the economy and jobs and health care. Forest officials announced Monday they are closing part of Sycamore Creek in the Tonto National Forest. They say they are worried impending monsoon storms could cause flash floods. One of those areas is the Sunflower burn area. Both supporters and critics of SB 1070 claimed victory after the U.S. Supreme Court’s ruling Monday. When the legislature approved the measure in 2010, Republicans generally voted yes, and Democrats no. Following Monday's decision by the U.S. Supreme Court on the provisions of Arizona's immigration law, Fronteras: The Changing America Desk broadcast a one-hour special.Those interviewed for the broadcast included:• Jan Brewer, Governor of Arizona• Mark Brodie, government reporter for KJZZ• Larry Dever, Cochise County Sheriff• Jeff Flake, U.
WASHINGTON (Associated Press) — The Supreme Court threw out key provisions of Arizona's crackdown on illegal immigration Monday but said a much-debated portion could go forward on checking the status of suspects who might appear to be in the U. Nearly one in six small business owners in the United States these days are immigrants. That’s according to a new study that shows small businesses owned by immigrants are impacting communities and the economy now more than ever. Voters in California have narrowly rejected an additional tax on cigarettes. A closely watched effort to impose a new $1-a-pack tax on tobacco to pay for cancer research in California has failed by six-tenths of a percentage point. Arizona gets more money for public schools from the federal government than all but six states. From Phoenix, KJZZ’s Mark Brodie reports. MARK BRODIE: The numbers from the U.S. Census Bureau show in 2009-2010, Arizona got just more than 18 percent of its money for elementary and secondary schools from the feds. For the 11th week in a row, gas prices continue to fall in Arizona. And experts predict the price will keep on dropping. From Phoenix, KJZZ’s Nadine Arroyo Rodriguez reports. The statewide gas price is an average $3. The U.S. Justice Department is suing towns in Arizona and Utah said to be controlled by a fundamentalist Mormon sect. Most residents in the towns of Hildale, Utah and Colorado City, Ariz., are members of the Fundamentalist Church of Jesus Christ of Latter Day Saints. The state’s workforce could look a little different this fall. Arizona lawmakers this year approved one of Governor Jan Brewer’s top priorities – personnel reform. One of her main goals is to make more state workers at-will, which she says will make it easier to reward good employees, and fire bad ones.